← What are you willing to do to witness for Christ? 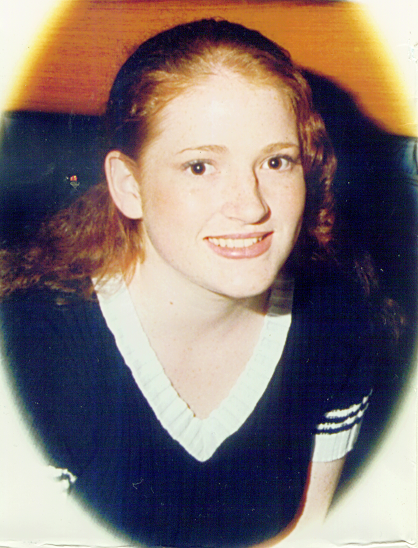 On March 23rd, 2001, the day before my birthday, I received the very bad news that our daughter Rosie (23 years old at the time) had died. Can you imagine what effect that had on me and my wife? It is almost impossible to put into words. On one level I could believe it to be true but on another I could not. Even now it is painful to write about. People might ask why does God allow such things to happen to believers? We know these are trials in life that the Lord sends our way. And God’s ways are above ours. Who are we to judge Him? Though Rosie was a strong believer in the Lord, she fell into sin and got involved with the wrong crowd. She died in a spa, alone. She had epilepsy and I believed she must have had a seizure. There was no water found in her lungs and the coroner’s finding of cause was returned as ‘open.’ We found on the internet that ‘sudden unexpected death in epilepsy’ (SUDEP) could have been the cause. The fact that I knew she loved the Lord, was the strongest consolation in such a time of trial and anguish. But my heart felt wretched and torn. Neither my wife nor I turned from God, but instead we turned to God. The pain and grief were strong and as time passes it has lessened. Knowing the Lord takes care of His own, though, is what gave us strength to continue and face the need to identify her for the Coroner and to put her to rest, trusting that the Lord will resurrect her when He returns. How do we deal with such life altering events? In our Christian walk we will be buffeted by the Devil, who is really only an agent of the Lord. Those trials he sends are to refine us in the fire of life. In all that, God promises to provide the means to endure them. This entry was posted in Belief in God, Trials and temptations and tagged epilepsy, Jesus Christ, John Hartnett, Lord Jesus Christ, Pilgrim's progress, SUDEP, temptations, trials. Bookmark the permalink. Thank you John. That was a beautiful memorial and psalm to God. Our love to you and Christina.